On Tuesday, Jeff and I were able to gain access to MCAS Miramar located here in San Diego. Sadly, I did not have my phone with me leaving me camera-phone-less. Viewing the beautiful vernal spring sanctuary in the diffuse light of a cool, cloudy day (our favorite kind of day, in fact). Getting a nice long walk in, and introducing Jeff to base life (I have actually been on more bases in my lifetime than he has). Getting an insider view to the airplane museum. This is when I realized I had left my phone at home, which is so unfortunate. This was really the cherry on top of our adventure. We had given it another try again today (and I purposefully brought my phone with me), but sadly the MP (military police) didn't want to let us through this time around. Frustrating, but completely understandable. After we arrived home, I decided to share some of my current Pinterest crushes with you. 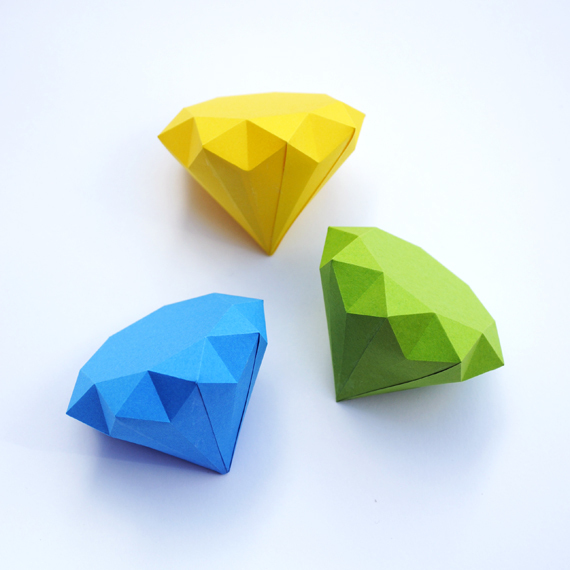 You can also head over to Minieco your own paper gem and diamond tutorials. 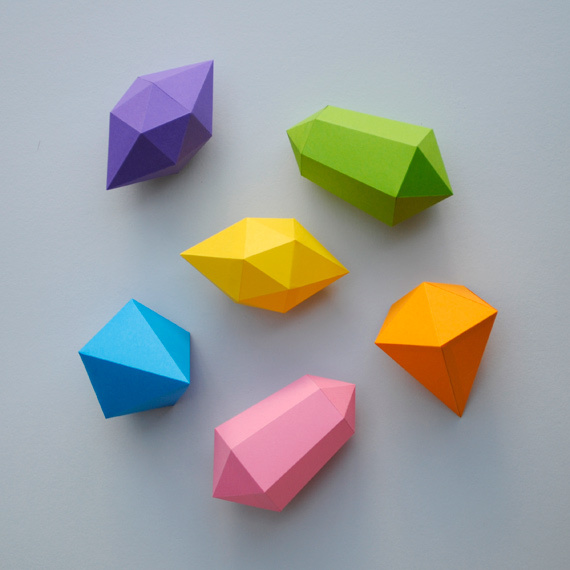 They are super cute and would make a great addition to any decorative bowl in your home.